Bernard Sansaricq is no ordinary man, who once held the position of president of the Senate of Haiti in 1994, as well as the former senator of the Republic of Haiti in both 1991, and 1997. He is a man of honor, courage, and loyalty, supercharged with the fire of a lion, in his fight for justice. Not only has Bernard spent the better part of his life fighting for the people of Haiti, he spent tireless months campaigning for President Trump while exposing what the Clintons have done to his native country. 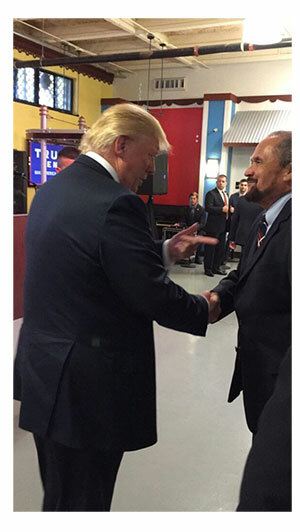 In fact, Bernard met President Trump on the campaign trail, and shared his experience with the Clintons, in live footage that ended up going viral across multiple social media platforms. He went on to expose the Clintons through radio shows, public forums, and even Fox Business Network managed to squeeze him in on a 4:32 min piece exposing the Clintons pay-to-play schemes, on October 12, 2016. Bernard is unlike any politician one could ever hope to meet. His loyalty and integrity go far beyond that of most human beings, let alone, a politician. Despite the many attempts on his life, one in which former President Jimmy Carter tried to assist Bernard with his safety, he is one of the few people in this world that stood up to the Clintons and refused their pay-to-play bribes. While this cost him a great deal, it earned him the respect of many. Those emails, which disclose the topics of discussions but not their details, revolve around two business executives: Donald Trump and Oleg Deripaska, a Russian aluminum magnate close to President Vladimir Putin. 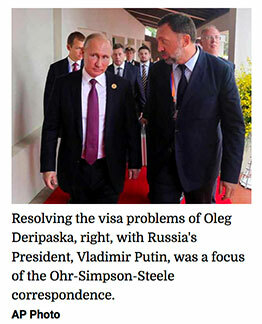 Steele was particularly interested in resolving issues concerning Deripaska's U.S. visa, which was revoked in 2006 because of his suspected ties to organized crime. In another sign of the overlapping strands of this story, when Special Counsel Robert Mueller was running the FBI in 2009, the bureau had asked Deripaska to contribute millions of dollars to help locate former FBI agent Robert Levinson, captured in Iran in 2007 while working for the CIA. Levinson remains missing. The Ohr-Steele-Simpson correspondence appears to include references to the former British spy’s work for Fusion GPS on Trump’s ties to Russia. Months before the election, Steele wrote Ohr to say that he would be back in Washington soon "on business of mutual interest." The culmination of their combined efforts, the 35-page dossier of unverified Trump/Russia connections, was used by the FBI to secure a warrant to spy on the Trump campaign. The Department of Justice did not respond to RealClearInvestigations’ requests for comment, nor did Glenn Simpson's lawyer, Joshua Levy. Hillary Clinton’s private e-mail server was not a secondary server to her State Department one, it was her only one. The State Department has always known this, yet it has flown almost completely under the radar. Editor's Note: Wow. This has been pretty much scrubbed from everywhere. 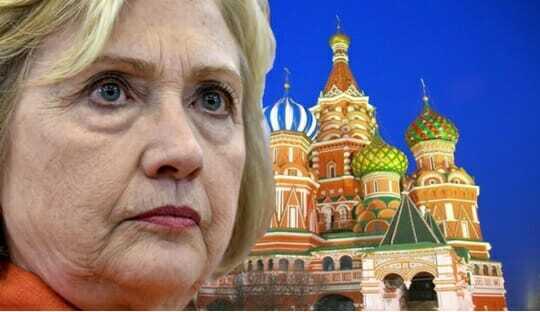 Hillary DID USE THE FAKE DOSSIER SHE PAID FOR to influence the outcome of the election. Luckily one spot archived it. AND REMEMBER, the info in this fake report CAME FROM THE RUSSIANS!! 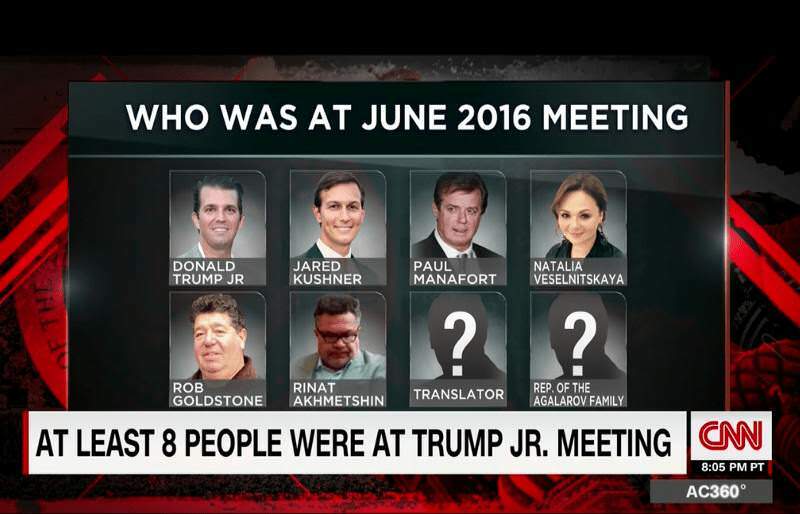 So who colluded with the Russians to influence the outcome of the election? 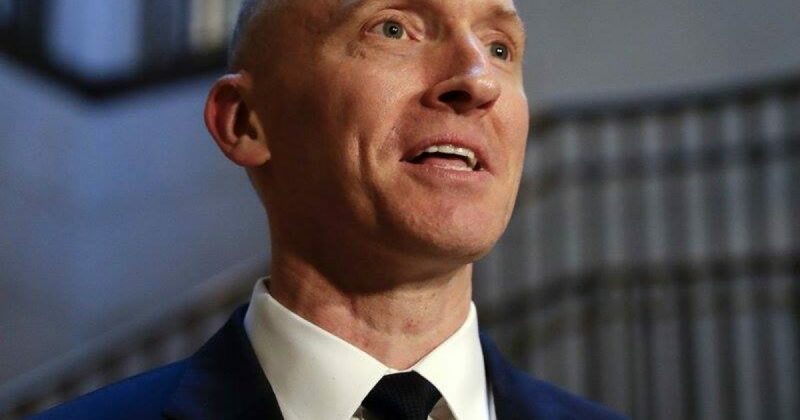 Former President Donald Trump campaign adviser Carter Page said that he reported Hillary Clinton’s role in the anti-Trump dossier to governments during the 2016 election, and he believes that Attorney General Jeff Sessions should not be constrained in the Russia case because he got “poor advice” from the DOJ. Page said he suspected early on that he was the target of a sting operation involving British intelligence. We now know that British spy Christopher Steele compiled a debunked anti-Trump dossier for Fusion GPS, a firm paid millions by the Clinton campaign. 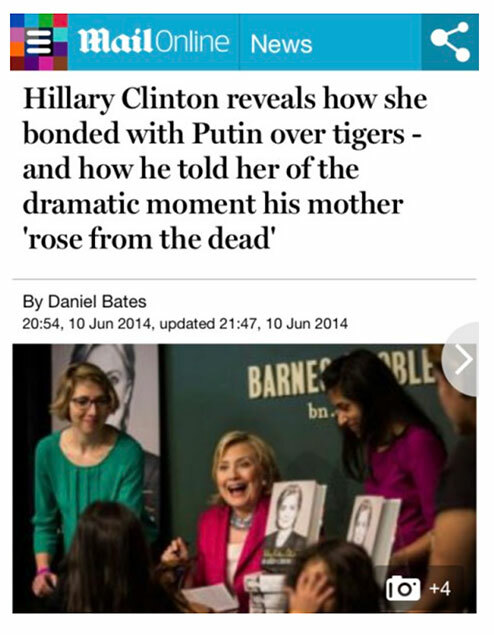 “I didn’t know for sure before the election, but I knew that the Clinton campaign’s opposition political research were behind the fakeness” of the dossier, Page told Big League Politics in an exclusive interview. The United States government is represented in the OSCE. 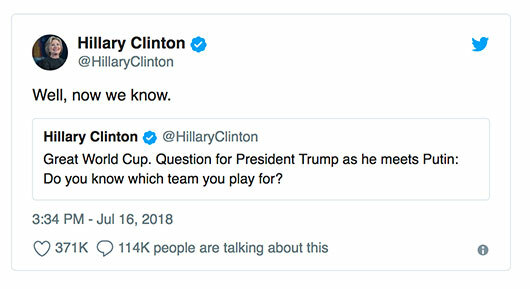 As Big League Politics reported, the Hillary Clinton campaign promoted the Christopher Steele dossier DURING the presidential election, using the intermediary of Yahoo reporter Michael Isikoff. The Clinton campaign’s press release on the matter has almost completely disappeared from the Internet, but we found its preserved contents — proving that Clinton used the Steele dossier to influence the election. Page thinks Sessions can still be involved with the Russia case if he figures out how to dis-recuse himself. “It’s a little bit more difficult to do an un–recusal there at Justice, but any unbiased and logical review of potential conflicts makes it clear that there’s no reason that he should be constrained,” Page told Big League Politics in an exclusive interview. “I think he is a good man, and it’s a shame that he was given poor advice by people at DOJ. Showing a similar history, bear in mind how Chairman Nunes was falsely accused of having conflicts of interest. But he patiently fought back and has been able to do great things,” Page told BLP. 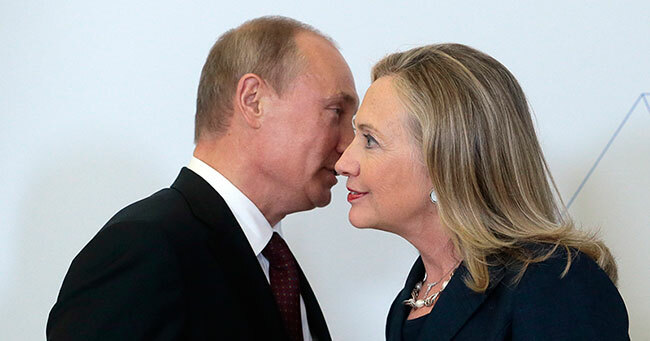 People close to Hillary Clinton were feeding information to Christopher Steele who compiled the Trump dossier on Trump's alleged connections with Russia, according to a criminal referral filed by Republican senators. A newly-released document from the Senate Judiciary Committee says Steele wrote an additional memo, besides the controversial dossier, using information that came from the Clinton campaign. The newly-released memorandum is an unclassified and heavily-redacted version of the criminal referral targeting Steele, filed on January 4 by Republican Senators Chuck Grassley and Lindsey Graham. It is addressed to Deputy Attorney General Rod Rosenstein and Director of the FBI Christopher Wray who Grassley and Graham are asking to investigate Steele. The report reveals coordination between the extended Clinton circle and the Obama administration in an attempt to source damaging information about then-candidate Trump. Steele was hired by private firm Fusion GPS in June 2016 to gather information on alleged links between Trump and Russia. His dossier, parts of which were leaked to the media before the elections, was the basis for the warrant to spy on Trump adviser, Carter Page, according to the memo released on Friday. The report alleges that there was a circular flow of information between Clinton associates and Steele. A memorandum dated October 19, 2016 says that foreign sources provided the information to an unnamed associate of Hillary and Bill Clinton, who then gave the information to an unnamed official in the Obama State Department, who would then pass the information to Steele. “It is troubling enough that the Clinton Campaign funded Mr. Steele’s work, but that these Clinton associates were contemporaneously feeding Mr. Steele allegations raises additional concerns about his credibility,” the report states. “It appears that either Steele lied to the FBI and the British court, or that the classified documents reviewed by the Committee contain materially false statements,” the report states. On January 4, Senators Grassley and Graham referred Steele to the FBI for further investigation after reviewing Justice Department documents that conflicted with Steele’s sworn court statements about the distribution of his research. “Seeking transparency and cooperation should not be this challenging. The government should not be blotting out information that it admits isn’t secret, and it should not take dramatic steps by Congress and the White House to get answers that the American people are demanding. There are still many questions that can only be answered by complete transparency. That means declassifying as much of the underlying documents as possible,” Grassley said in the release accompanying the document. 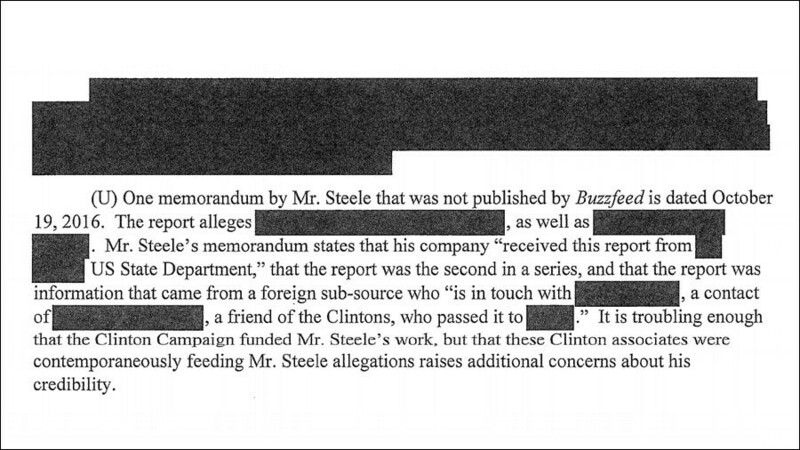 Leaked to Buzzfeed in January 2017, Steele’s dossier contains unverified allegations that Russia holds information on Trump which it's using to blackmail the US president. It further alleges sustained and close working contacts between Trump aides and Kremlin representatives, with Russia “feeding Trump and his team valuable intelligence on his opponents” for years prior to 2016. The allegations have not been proven. As alleged in the 'Nunes memo', this dossier “formed an essential part” of the FISA probable cause order obtained by the FBI from the Foreign Intelligence Surveillance Court (FISC) in 2016 to spy on Trump adviser Carter Page. The warrant was extended three times, also on the basis of the Steele dossier. The litigator also discusses the Uranium One scandal, the “tainted” Mueller special counsel investigation and the heroism of Nunes, who is under intense pressure from a united Democrat front. DiGenova has no doubt that if Democrats gain control in November, there will be an effort to impeachTrump. The Democrats are trying to delay any efforts by Republicans to find the truth. “It’s important for the House to complete its work now,” he says. Did the FBI pay Christopher Steele, author of the dossier? 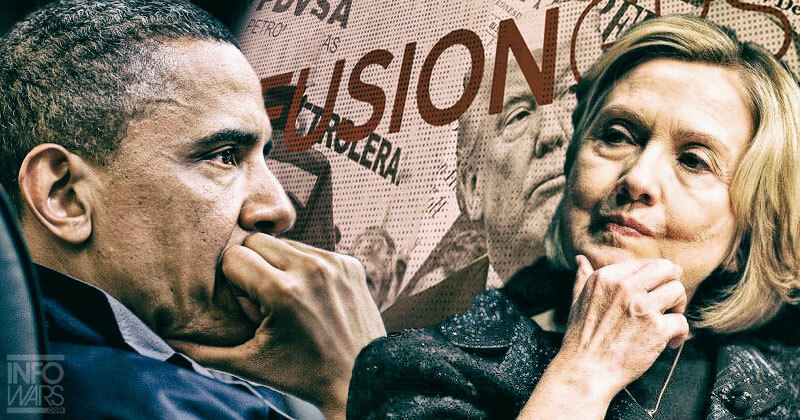 Was the dossier the basis for securing FISA warrants to spy on Americans? And why won’t the FBI show Congress the FISA application? When did the FBI get the complete dossier and who gave it to them? Dossier author Christopher Steele? Fusion GPS? Clinton campaign/DNC? Sen. McCain’s staffer? Did the FBI validate and corroborate the dossier? Did Peter Strzok, Lisa Page, or Bruce Orr work on the FISA application? Why and how often did DOJ lawyer Bruce Orr meet with dossier author Christopher Steele during the 2016 campaign? Why did DOJ lawyer Bruce Orr meet with Fusion GPS founder Glenn Simpson after the election? To get their story straight after their candidate Clinton lost? Or to double down and plan how they were going to go after President-elect Trump? When and how did the FBI learn that DOJ lawyer Bruce Orr’s wife, Nellie Orr, worked for Fusion GPS? 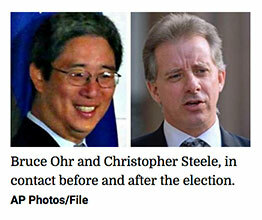 And what exactly was Nellie Orr’s role in putting together the dossier? Why did the FBI release text messages between Peter Strzok and Lisa Page? Normally, ongoing investigation is reason not to make such information public. Why did Lisa Page leave Mueller probe two weeks before Peter Strzok? This was two weeks before FBI and Special Counsel even knew about the texts. Why did the intelligence community wait two months after the election to brief President-elect Trump on the dossier (January 6, 2017)? Why was James Comey selected to do the briefing? Was the briefing done to “legitimize” the dossier? And who leaked the fact that the briefing was about the dossier? The New York Times reported last week that George Papadopoulos’ loose lips were a catalyst for launching the Russia investigation. Was President-elect Trump briefed on this? 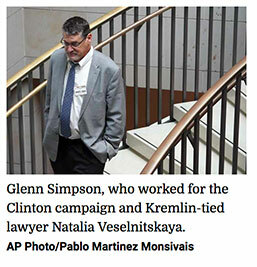 Why did Fusion GPS founder Glenn Simpson meet with Russian lawyer Natalia Veselnitskaya before and after her meeting with Donald Trump Jr.? Why was FBI General Counsel Jim Baker reassigned two weeks ago? Was he the source for the first story on the dossier by David Corn on October 31, 2016? Or was it someone else at the FBI? Why won’t the FBI give Congress the documents it’s requesting?